Third generation Law enforcement. Grandfather was in the OSS. His father was a cop in Buffalo N.Y.. Grew up in South Tampa. Attended Robinson High School. He dropped out in 1966 to fight in Vietnam. The army sent him to Key West, Florida. Served as a fire control operator in the HAWK missile system. While in Key West he had an amazing radar encounter with a group of UFOs. The two year investigation into that incident became a mission after his retirement. That investigatiion led to the discovery of a major South Florida flap that occurred between March and May of 1967. In the fall of 1967 he was transferred to the Military Police and served as a Scout Dog Handler on the DMZ in Korea. Graduated from the Tampa Police Academy in 1972, second in his class. Served in a number of law enforcement agencies and instructed in academies throughout the US. 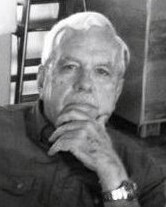 Retired in 1990 after a motor vehicle accident. Worked for the Shah of Iran as one of his personal body guards in 1979. After retiring from Law Enforcement he opened his own Detective agency, Tampa PI. Tampa PI was one of Florida's Premier Detective agencies for 12 years. He is now fully retired, the MUFON State Section Director for the Tampa Bay area and creator of the M.A.S.T. Program.For the last few years he has been doing pdf file work for NICAP's casework. He now serves on the NICAP A-Team.